Impactful Keynotes and Speeches that will Engage, Inform, and Inspire. McCormack Media Services provides modern media, sales, and professional skills training to organizations in the media, marketing, and entertainment industries. Our training services educate and mobilize sales and marketing teams to use MODERN media platforms (like LinkedIn and Twitter) and MODERN sales techniques to help businesses improve performance and increase revenue. Our client list includes recognizable and respected Fortune 100 ​Brands​ including NASCAR, Hulu, NBC, Sony Pictures​ TV​ and 20th Century Fox to name few. As an IAB Digital Media Sales Certified Business, McCormack Media Services is committed to excellence and creating innovative and customized training programs for our clients. McCormack Media Services provides Multi-platform & Digital Media Sales training that helps modernize skill-sets and enable businesses to offer sales and marketing solutions across all of today’s modern platforms. We custom create every training program with our clients to focus on specific goals, growth opportunities, and the platforms that are most impactful to their business. Teams learn hands-on sales and marketing basics from industry recognized experts in all modern media including: Video - Digital Display - Mobile - Social - Search - Email Marketing - Database Marketing - SMS - Programmatic. McCormack Media Services is an IAB Digital Media Sales Certified business committed to empowering teams with an expanded knowledge base and increased confidence. McCormack Media Services provides Sales and Sales Technique training that modernizes your company’s sales approach and sheds new light on what sellers must do to be competitive in today’s market. By gaining a thorough understanding of how to properly apply modern technology and techniques, sellers are able to offer new insights to clients and prospects in a consultative, solutions-oriented manner that will positively impact the bottom line. Every member of the sales team participates in practical exercises to research, strategize, and create action plans for actual client accounts. McCormack Media Services is an IAB Digital Media Sales Certified business committed to providing teams with a re-energized approach to sales and a renewed level of inspiration and excitement to achieve success. McCormack Media Services’ Professional Skills Training empowers individuals with new and improved skills to be more polished professionals. Sometimes known as “soft skills” our training modules in this area include modern techniques for storytelling, data visualization, presentation skills and personal brand building. This training is available to help professionals at all levels of an organization as they expand their personal influence with more poise and with a great ability to persuade. All of our training modules are hands-on, interactive working sessions with immediately actionable items. Some of the training sessions from this module are one-on-one sessions designed to train that employee at their individual skill level and from their value system. Trainees from these modules will learn new and modern techniques in communication and persuasion. McCormack Media Services is committed to improving the skills of professionals. Our training modules will empower and inspire your staff (at all levels) to become thought leaders in your industry and community. Trainees will be provided with the tools to present at a higher level and to create materials that showcase the staff as polished and professional executives. Bring your conference to the next level. Quality communication and professional speeches have the power to create a more impactful event that effectively reaches and motivates your audience. McCormack Media Services provides Expert Witness services and/or consultation to law firms in the area of television media. We have provided expert witness services on the parts of labor, management, ad agencies, large broadcast companies, and small companies alike. All of our media experts are distinctly qualified to serve as an expert witness. We are bound by non-disclosure agreements and maintain the highest standard of confidentiality. Nielsen Media Research was looking for a dynamic speaker to inspire and motivate the large audiences at their annual, National Sales Summit. Nielsen was looking for new, forward-thinking approaches as well a traditional topics with a modern spin. The audiences at the Nielsen Sales Summit were greatly inspired to become better communicators and presenters. The rest of the summit included further discussions on Tracey’s suggestions and recommendations. Tracey received great praise for her work and was said to be one of “the most influential and important” sessions of the entire week’s conference. The NBC Owned Stations Group is very proud of its successful and well known Sales Associate Program. The program is a competitive opportunity for young sellers from around the country to enter the Comcast/NBC Owned Stations organization as a salesperson. After a rigorous selection process, the best candidates are sent to New York for an intensive training program to prepare and empower them for success as new sellers. McCormack Media Services was the only outside training company hired for the SAP training sessions in 2014. Multiple full days of Sales Fundamentals training was conducted. The training included three customized modules: Sales Basics, Consultative Sales Training, and Sales Fundamentals. All of the trainees are thriving and new trainees continue to be inducted into each year’s SAP. 20th Century Fox’s theatrical division is a significant spender in all forms of media. Executives from the company’s marketing division wanted customized media training to facilitate communication with their media partners and to gain insight into their partners’ decision-making process. McCormack Media Services provided customized executive level media training. The training focused on television: inventory management, the effects of market conditions on pricing, and strategic tactics to improve box office results. Our clients at 20th Century Fox walked away with an improved ability to advise agency partners and report to studio management with a greater sense of confidence in answering the questions posed to them. They felt a greater, and much needed, sense of confidence in the questions posed to agencies and the ability to report to studio management. Hulu had an arsenal of sophisticated and experienced digital media salespeople; however, their ad budget for television dwarfed their ad budget for digital media. The Hulu sales team needed to learn the network television sales process, language, and selling cycle in order to grow their business. McCormack Media Services brought in television sales and strategy experts to handle the training. We conducted several days of training in Network Television Sales, Network Television Fundamentals and Network Television Inventory Management. Our goal was to make the Hulu digital salespeople as well-versed in the traditional television sales process as they were in the digital sales process. Today, Hulu regularly participates in both the network television Upfronts and the video Newfronts and has had continued growth in ad revenue each year. Even when television markets have been soft, Hulu has continued its trend of increased sales, revenue, and profits. NASCAR is the most famous name in auto racing. The company’s marketing executives realized that the world around them was changing as fast as one of their races and that they needed multi-platform media training in order to keep up with contemporary trends. Increased knowledge of new media platforms would improve their ability to consult, service, and advise their advertising and sponsorship partners. McCormack Media Services conducted live, hands-on training customized for the different skill levels of the account management and executive teams. Three of our experts spent several days conducting television, digital, mobile, and social training for the marketing team. The teams completed the training energized with new sponsorship ideas for their partners. Some of the ideas that sparked the most interest for the trainees were new areas of technology such as beacons, geo-targeting and Vine videos. The training was so well received that NASCAR brought McCormack Media Services to company headquarters to train its New York and Charlotte marketing teams in advanced, multi-platform models of social, mobile and personal brand-building. CAA, one of the world’s largest and most prestigious talent agencies, has a growing media and branded entertainment division. Their clients include a long roster of the most profitable and influential global brands. CAA had a very particular, complex, and confidential media assignment from one of their top media clients.The client was presented with a major marketing partnership opportunity, but needed significant consultation to make it successful. McCormack Media Services was hired to consult, advise, and evaluate this large multi-platform marketing opportunity. After the consultation was complete, CAA and their client entered into this marketing partnership which was a monumental success. "Tracey, and McCormack Media Services, was the right solution for a very unique media assignment. Her expertise and creative thinking were invaluable to delivering very helpful consulting services. Her rigor, candor and personality delivered just the result we were looking for." Publicis Media is one of the largest and most well-respected media buying and strategy agencies in the world. Company leadership wanted to upgrade the skill level of their “rising star” mid-level supervisors and managers, providing training on how best to represent Publicis Media for those staffers who interact with clients and handle new business presentations. McCormack Media Services created a customized “Modern Storytelling Skills” training for twenty Publicis Media supervisors and media directors. The first step consisted of classroom-style training with show-and-tell sessions. The next several days were devoted to one-on-one storytelling skills training conducted by Tracey McCormack. Each trainee then received personalized feedback. The training session was revered by several of the trainees as the best training they’ve ever received. Publicis Media went on to hire McCormack Media Services for a six-city tour of “Modern Storytelling Skills” for their other offices and executives. VOD Course Now Available Online! Learn the fundamentals of digital media buying and selling! These 4 on-line, on-demand video classes will teach you the basics required for early stage education in digital media and help you prepare for the IAB certification exam. Sign up for your FREE Vimeo account today and purchase the four course package for only $149.99! Tracey McCormack was the original founder of McCormack Media Services, LLC in 2001. Tracey’s vision was to serve the larger media community -- which found itself in a new and changing environment and subsequently greatly in need of modern education and training. 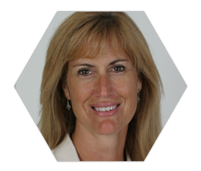 Tracey created several training modules focusing on --- modern sales techniques, modern media platforms and modern professional skills. Under Tracey’s command, within 17 years, McCormack Media Services, LLC boasts having completed training for dozens of Fortune 500 companies including: NASCAR, hulu, NBC, Fox, Univision, Telemundo, Sony Pictures Television, 20th Television, Discovery Communications, Publicis Media, and Snap, Inc…just to name a few. Many of those clients have gone on to be regular, returning customers of McCormack Media Services, LLC. Today, McCormack Media Services is owned and operated by a private investment group. Tracey’s vision, content and training modules will continue to serve media companies and sales professionals across the United States. The original team of expert associates remain on board and will continue Tracey’s legacy and vision of superior, modern training and consultation services. Bill Parish is a television ad sales pricing, planning and inventory management expert. He has a deep knowledge of finance, research, and operations focusing on revenue maximization through better pricing and inventory management. Bill began his career in the television business as a page at NBC and rose through the ranks of ad sales finance and planning to become the youngest executive on the NBC Network Sales Management Team. He left NBC to join Lifetime Television in its first years and later joined A&E Networks. Mr. Parish built, staffed, and managed sales, sales planning, traffic and operations for network groups such as Viacom, Turner Broadcasting, USA Cable Network, NUVOtv, Gemstar-TV Guide and NBC. 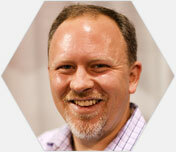 Bill Carmody is the CEO and Founder of Trepoint, a digital consulting, technology and marketing services company. For more than twenty years, Bill has focused on integrating social, mobile, online, sponsorship, live events, and traditional disciplines. Bill’s esteemed client list includes: AOL, AT&T, Citibank, Exxon, Hewlett Packard, Microsoft, M&M Mars, and Samsung. Bill has also been a leader in the promotions industry assisting clients in digital promotions, contests, sweepstakes and gaming. Mr. Carmody is the published author of the highly acclaimed books Online Promotions and The ROI of Social and is a regular contributor to The Wall Street Journal, Ad Age and INC Magazine. 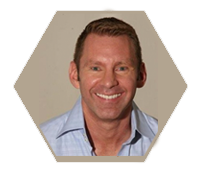 Scott Monty is an internationally recognized leader in digital communications, digital transformation, social media and marketing. 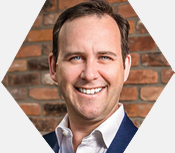 As principal of Scott Monty Strategies, he counsels brands and agencies on strategy, executive communications, influencer management, the customer experience, and digital initiatives. He is a board member of the American Marketing Association and an advisor for RPM Ventures, My Dealer Service, Crowd Companies and Clever Girls Collective. He writes about the changing landscape of business, technology, communications, marketing and leadership at ScottMonty.com, where he distributes the widely acclaimed Week in Digital newsletter, and is the executive editor and co-host of the Sherlock Holmes website and podcast I Hear of Sherlock Everywhere. Emily Riley is a digital marketing industry veteran with deep research, analysis, marketing, and product experience. Most recently, Emily held executive marketing and product roles as COO of Ghostery, Inc. and Audience Science. In each position, she helped these companies to successfully reposition their products and develop go-to-market strategies. 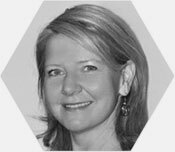 Emily also served as VP of Research at Forrester Research where she had oversight of digital marketing for Martha Stewart Living Omnimedia. Ms. Riley advises McCormack Media Services’ clients on digital display, digital video, programmatic strategy and sales. Court Stroud holds an MBA from the Harvard Business School and is a multicultural media professional with 20+ years of experience including radio, local/national spot/network television, as well as digital. Court has led sales and digital strategies driving revenue for CBS, Univision, Telemundo, Azteca America, and Skyword, to name a few. 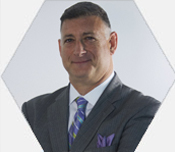 His proven expertise spans digital/mobile/social display, video, programmatic, and content marketing..
Court’s insights into multicultural audiences, media industry trends, advertising partnerships, and viewer behavior have established him as one of the most sought after thought leaders in the industry. Forbes, Ad Age, Adweek, New York Post, Hispanic Market Weekly, and Media Village are just a few of the industry recognized trades that have featured his his highly respected thought leadership. In addition, Court co-teaches the course “Video Media Sales in a Cross-Platform World” at the NYU School of Professional Studies with McCormack Media Services’ Founder, Tracey McCormack. Although Tina Weinsoff’s knowledge extends across all media types, she has particular expertise in the areas of print and out-of-home. For most of her career, she has been the point person overseeing print and OOH planning and buying efforts. Print and OOH still have a big place in this world – billboards, wallscapes, transit, cinema, airport, mall and experiential – and are more important than ever as part of an omni-channel strategy in which consumers can see an OOH ad and instantly make a purchase or further their journey from a mobile device. Ms. Weinsoff has worked for major agencies in L.A. and San Francisco and has advised major clients including: Honda, Amazon, Macy’s and several e-commerce brands and platforms. 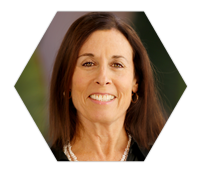 Debra Smallman is the founder of Kaberg Consulting which she launched more than 20 years ago. She has provided consultation services to major traditional and digital media agencies in Los Angeles, San Francisco, and other major markets around the country. 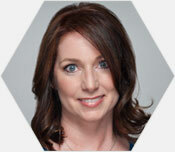 Debra's expertise includes the development and implementation of detailed digital campaigns and marketing strategies. She has vast experience in planning, placing, and negotiating online media buys for mobile, programmatic, social, and digital video campaigns. Debra has consulted directly with clients and, in addition, has held positions and provided consultation services to major traditional and digital media agencies in New York and Los Angeles. Ms. Smallman's account roster includes: Farmer's Insurance, Nature Made Vitamins, New Zealand Tourism, Toys "R" Us, Warner Brothers, Sony, Nissan, Infinity, Honda and Acura. 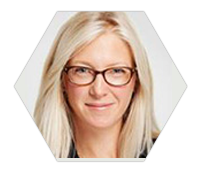 Liza Horan is a Principal at Media Moxie, LLC, a New York-based digital media consultancy. For more than twenty years, Liza has created compelling content strategies that attract, engage and retain audiences. As a former print journalist and editor who turned to digital media in 1995, Liza knows how to create authentic content and the systems that enable people to consume and share that content across websites, social media, mobile and email. Liza’s approach to content marketing is developing a measurable strategy based on business goals and available data. Liza understands that today’s consumers are everywhere and she trains clients on omni-channel content marketing that mirrors a customer’s personal journey to purchase. Ms. Horan’s current clients and former employers include: ESPN, The New York Times, Reuters, Gatorade, American Express, and Lincoln-Mercury. 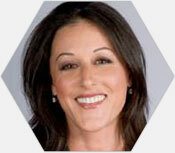 Tara Aviel is President of Access Media Services, which specializes in the strategic placement of cable advertising. She also handles planning and buying for numerous accounts and advertising categories across on broadcast television and radio. Ms. Aviel’s’s career spans more than twenty years of media buying, strategy, account work and team supervision for political clients and others such as Jack in the Box, Red Bull, Pennzoil, Mercedes Benz dealers, Adidas, Dish Network and New Line Cinema. 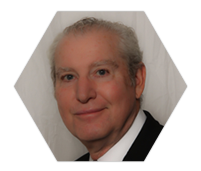 Larry Sands is the founder of Creative Bone Consulting & Management. He has over 25 years of experience in both English and Spanish language traditional and non-traditional broadcast encompassing sales, programming, promotions, distribution, and project management in both the U.S. and in Latin America. Prior to founding Creative Bone in 2015, Larry had an impressive career at Univision, Inc. in several key roles that marked unprecedented growth for the company. He served as President of Univision Puerto Rico for eleven years where he oversaw the acquisition and launch of two television networks. During his tenure, Univision Puerto Rico rose to the top of the Puerto Rican television ratings. He then went on to serve as Regional Vice President and General Manager of Univision Chicago where he established cross-promotion and monetization of radio properties, implemented a social media strategy to drive engagement, and led the station to record-breaking revenues. Please contact us for more information on our training services.